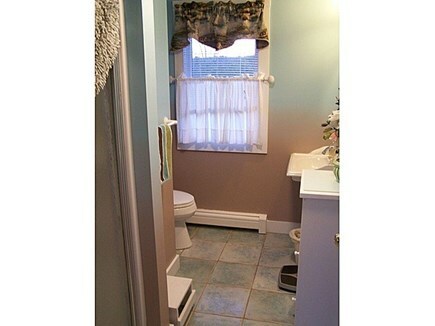 Circa 2002, home with large, spacious, windows (nestled on a Truro hilltop) providing bright, natural light to the home's interior. 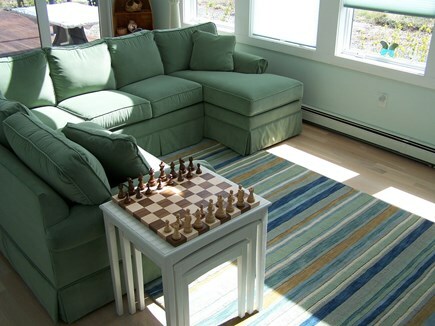 Be instantly captivated by the beach house’s spotless kitchen, impeccable hardwood flooring, many amenities and Cape Cod decor. An elegant statement is conveyed by the number of dramatic and enchanting flora that surrounds this distinctively landscaped beach house. Every effort is made to update the home. Fans in every room direct the summer Cape breezes that frequently flow through the home's interior. Read, sketch, or just listen to music under the canopy pergola, bordered by rich blooms of hydrangeas, kissed by Cape breezes. Use the over-sized grill in preparing distinctive meals while enjoying the quiet, picturesque view of a rolling wind-swept meadow that frames Corn Hill. 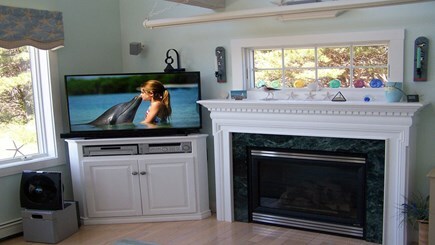 The house has state-of-the-art entertainment. 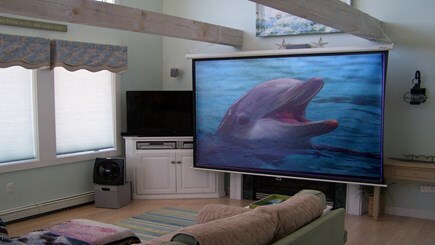 A fabulous 7 foot by 7 foot projector screen provides a true evening cinematic experience. 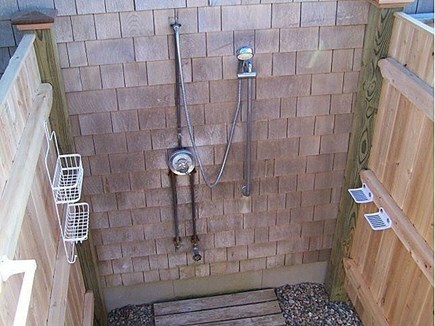 A private, spacious outdoor shower is a must when returning from those sun drenched beach days. 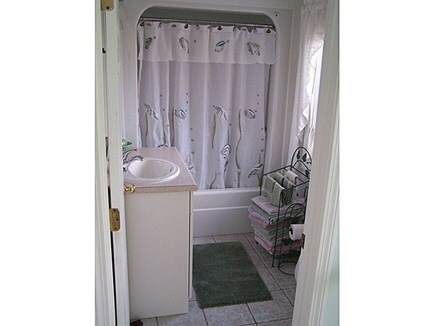 Linens and house towels are provided and add another level of high-class comfort. Relax yourself in one of three tranquil bedrooms. 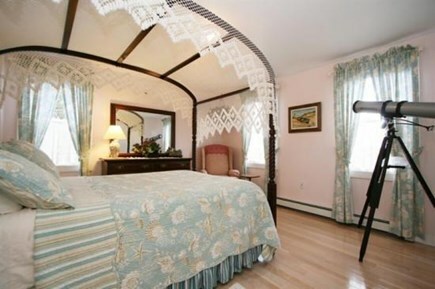 There is a lovely, romantic, full-size canopy bed on the first floor. 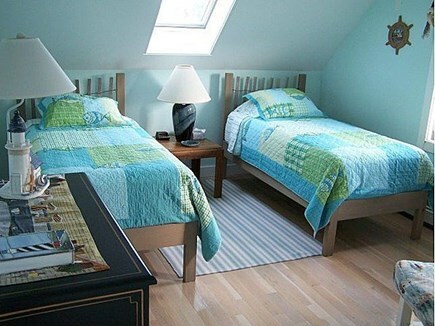 The second floor has an original pair of beach décor inspired twin beds. The second floor also has a stately queen-sized bed with a spectacular, sweeping view of Corn Hill from a cantilever porch. 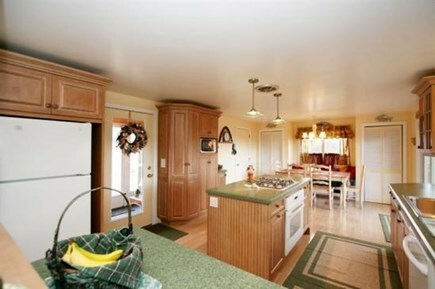 It is one of the few landmark homes, in Truro, that boasts majestic views and rolling hills synonymous to its location. Additional pricing info: $150 cleaning fee required at check in, State and local taxes of 12.45% will apply. 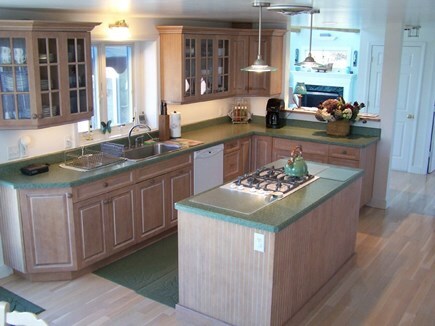 We have been successfully renting since 2002 when our home was first built. 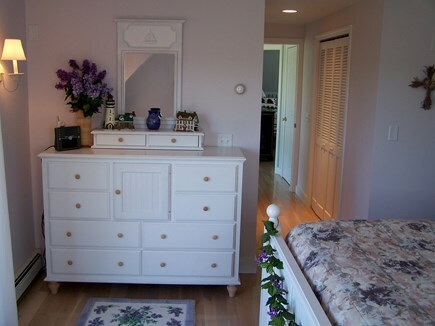 Over a decade we have applied our guest's input into our rental property making it as warm and inviting as we possibly can. My wife recently retired from our local elementary school and I currently work as an educator at a local high school. 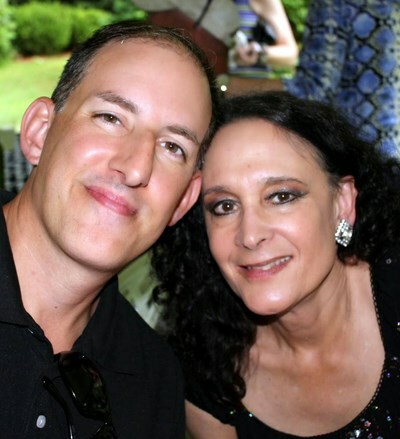 We are empty nesters and it is only my wife and I in the summer season. Our property is located on a private road and we are the only ones that rent in our neighborhood. This is great because our neighbors are retired, established in the area and enjoy the charm a small, quiet town has to offer. 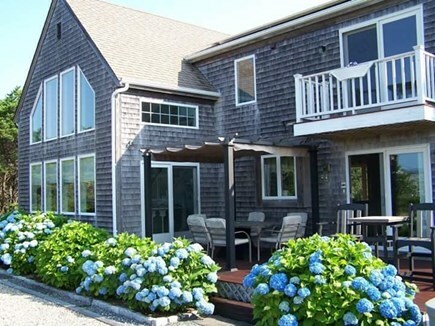 Truro is the most desirable place to reside on vacation on Cape Cod. 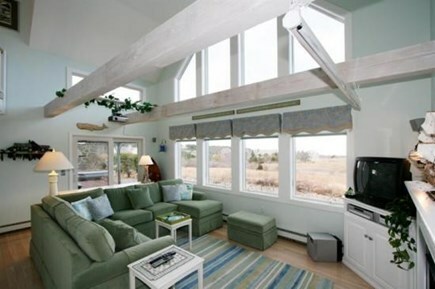 10 minutes from Provincetown and Wellfleet and bordered by the National Seashore. Truro boasts picturesque landscapes, pristine beaches and wonderful Cape breezes. Beaches are not as crowed as other town beaches on the Cape. Truro has Highland Lighthouse, a museum, Truro Vineyards, Chequessett Chocolate Factory and iconic stores such as Jams and Salty's Market.